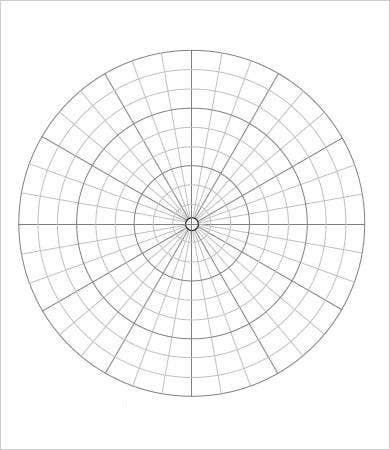 Need polar graph paper? If you are a student, mathematician, or other technical engineer, this is expected. Can’t find it anywhere? This too is expected. We’ve all experienced at some point the anguish at having to get specialized stationery materials for homework or other projects, only to find that, predictably, your stationery stores don’t stock it. Template.net is here to eradicate that situation. 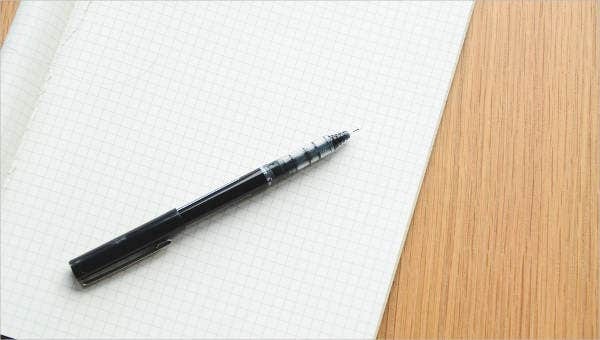 With the right Paper Template, you don’t have to head out to stores anymore to be disappointed, and you don’t have to buy graph paper in packs of more paper than you realistically need. 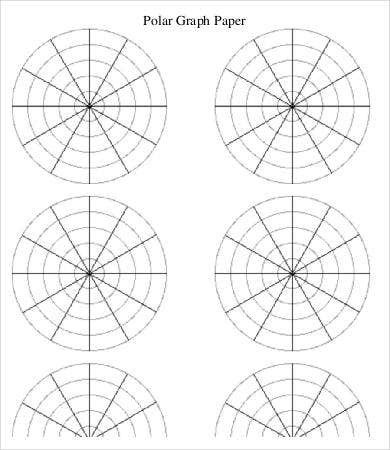 Here is a stock of free polar graph paper templates that you can download as PDF files in high quality and print them when you need them. What Is a Polar Graph? 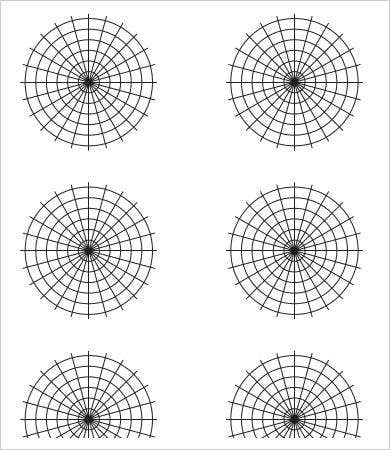 In case you haven’t been paying attention in class, polar graphs are like your typical Graph Paper Template and are used the same way: to create graphic projections of certain data. Can’t I Use Regular Graph Paper for This? Students who can’t find polar graphs tend to make do by drawing circles on regular graph paper using a compass, a protractor, and some legends for conversion units. You no longer have to go through the extra trouble with these polar graph templates. If you don’t have a protractor to measure angles, use any of the polar graphs that come with their own indications of angle along the circumference. See Polar Coordinate Graph Paper for a super-useful example. 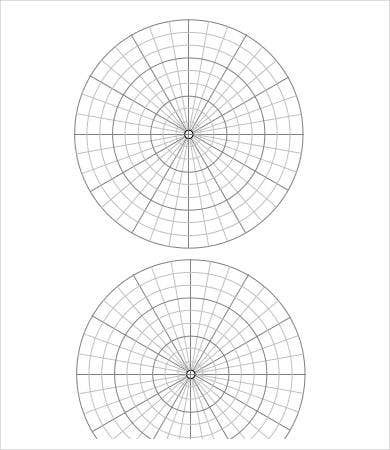 Because it may be the case you need these polar graphs for projects that should scale well, you might also look into finding a good Large Graph Paper Template that you can resize to print on larger paper sizes. 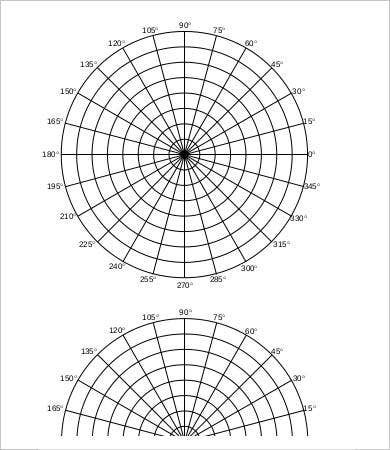 How Do I Use These Polar Graph Templates? First make sure that you have any specific instructions from your teacher or supervisor. We will have a sample for any situation you might have. If it is up to you, a polar graph with coordinates already indicated may make your job easier. But many teachers might prefer that you measure angles by yourself using a protractor on blank paper. 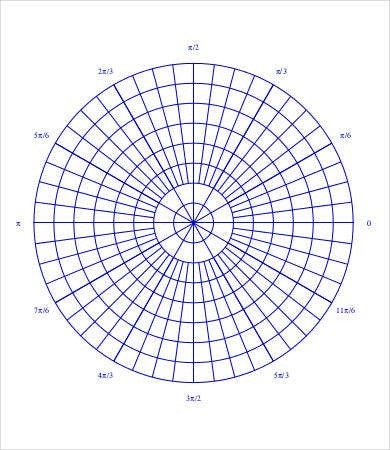 You will then need something like the Free Printable Polar Coordinate Graph Paper. 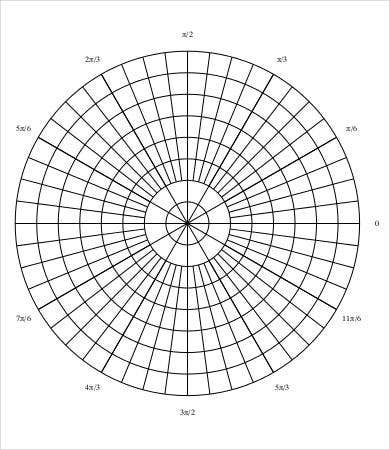 If you have to do several of these graphs at a time on blank graphs, use the Polar Circle Graph Paper or the Polar Plane Graph Paper. If you’re resourceful enough and if you have the time, you can take a single polar graph and scale it to fit multiple graphs on the same sheet of paper. Again, make sure to check for any specific instructions or requirements. Whatever happens, we will have a Graphing Paper Template suited to your needs.